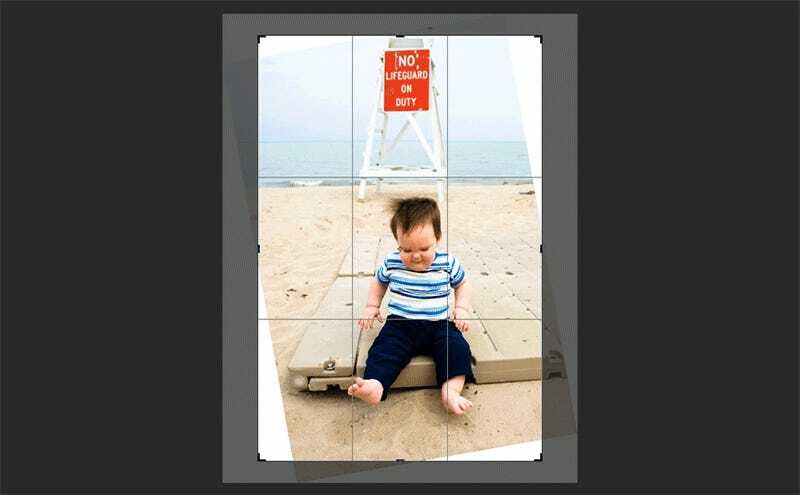 Regular users of Photoshop have probably come across this problem before: After you’ve straightened a photo by slightly rotating it to one side or the other, your ability to then crop the image is severely limited without having to clone in missing corners. The next version of Photoshop, however, will do that all for you. As demonstrated in this video posted to YouTube’s official Adobe Photoshop channel, a new feature called Content-Aware Crop applies the software’s impressive ability to automatically fill in missing areas of an image to the crop tool. So after straightening a crooked image, you can still crop it to include whatever parts of the image you want to keep, and Photoshop will ensure there are no missing areas in the corners when you’re done. Your mileage with the tool, and how well it fills in missing parts of a photo, will vary depending on the source material. Remember, this is a highly controlled demo Adobe is showing off. But even if it works one in ten times, it might be worth the upgrade to the next Photoshop, especially if you have a hard time keeping your camera level.